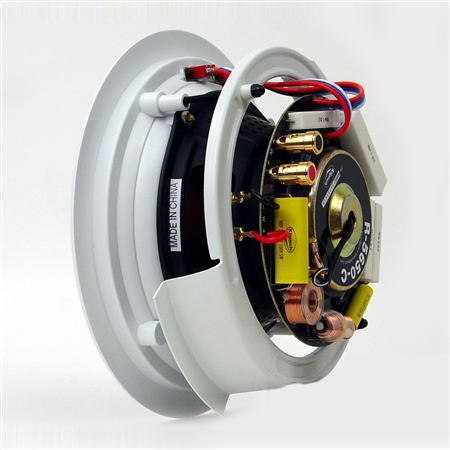 Featuring a 6.5-inch Cerametallic™ woofer cone 1-inch titanium tweeter mated to a swiveling 100-degree asymetrical Tractrix® Horn as well as treble and bass contour switches the R-5650-C delivers unbeatable precision clarity and efficiency. 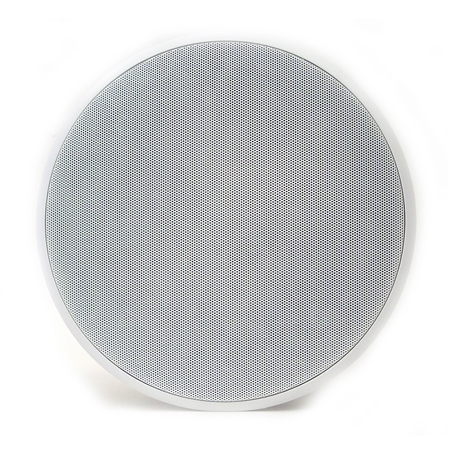 In fact because the swiveling horn allows listeners to point the sound where they want it to go the direct to reflected energy ratio is high in the listening area creating a large soundstage with well-defined imaging. By incorporating a proprietary two-screw frame design the R-5650-C is also one of the most easy-to-install products on the market. With this "one trip up the ladder" concept installers only have to tighten two screws in order to securely mount the loudspeaker into the ceiling. 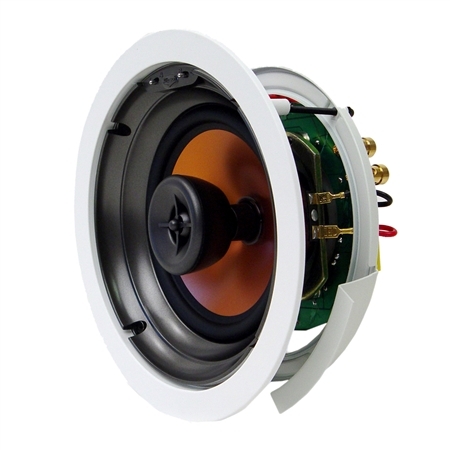 With a white finish the R-5650-C can be paired with the Klipsch IK-650-C installation kit (sold separately). This revolutionary kit design incorporates a mud ring breakaway wire tie and color-coded brackets for easy speaker size identification. It also includes perforated metal wings that easily fasten to the studs via screws staples or nails. Painted white for easy marking and placement these metal wings can be folded around the edge of the studs if necessary. 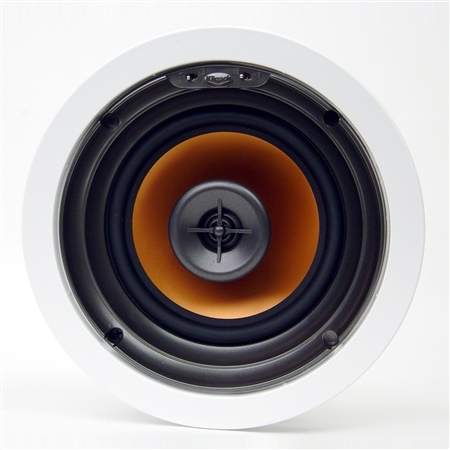 While no longer in production the R-5650-C speakers are still owned and listened to by Klipsch fans around the world. To connect with other people who are passionate about audio and interested in Klipsch products visit our open forum bulletin board.